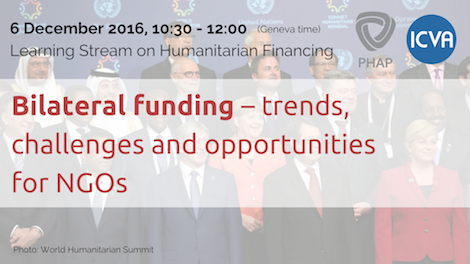 The 2016 World Humanitarian Summit reaffirmed the importance of NGO access to humanitarian financing. 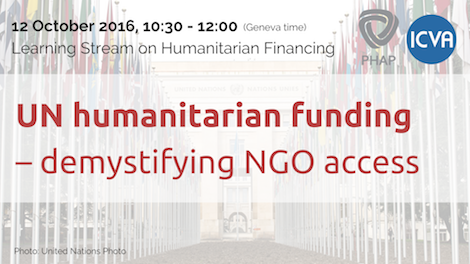 However, with the exception of a few well-resourced organizations, the majority of NGOs have a limited understanding of and influence over decisions related to humanitarian financing – and by extension, limited direct access to humanitarian financing. 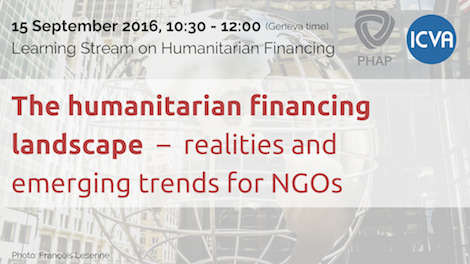 In light of this, PHAP and the International Council of Voluntary Agencies (ICVA) have organized an online learning stream from September 2016 to March 2017, aiming to demystify the complex humanitarian financing landscape. 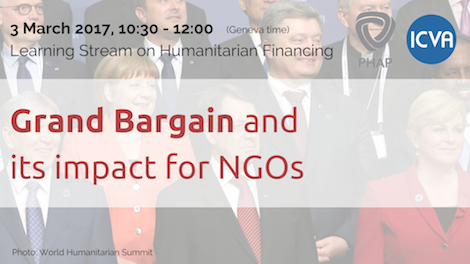 The stream specifically targeted NGO staff, including field, policy and HQ staff, but live sessions were also open to the public. 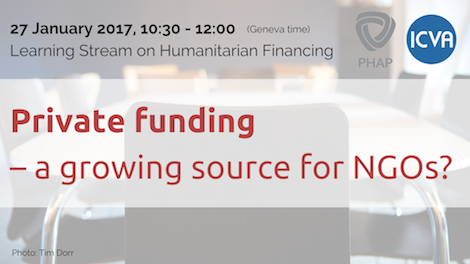 Anyone interested in improving their understanding of humanitarian financing can now access the audio and video recordings of all sessions with subtitles in English, French, and Arabic. The online events were also accompanied by short whiteboard videos introducing each topic, briefing papers in English, French, and Arabic, interviews to some of the guest experts, and follow-up answers to questions that were asked by participants. You can find all these resources on each event page by following the links below. 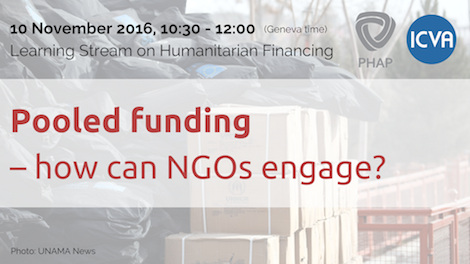 This series has been made possible by ICVA and through the Geneva Humanitarian Connector, an initiative of PHAP supported by the Swiss Federal Department of Foreign Affairs.